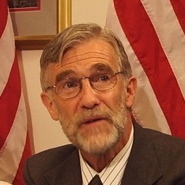 Ray McGovern reports that with Bolton’s old “enforcer” Fred Fleitz as NSC Chief of Staff the odds increase of war with Iran. Bolton and Fleitz can now elbow out any honest intelligence on Iran and goad the President into a world-class catastrophe. This time the result would be much worse — geometrically worse says McGovern than during the Bush administration.